LA County Board of Supervisors. 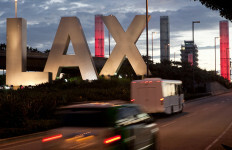 MyNewsLA.com Photo by John Schreiber. 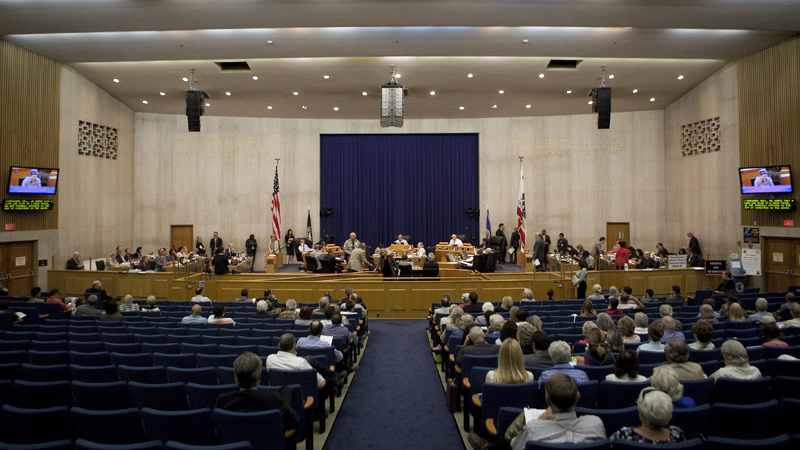 The Los Angeles County Board of Supervisors voted Tuesday to fight back against the Trump administration’s decision to phase out the Deferred Action for Childhood Arrivals program, instituting a travel ban on DACA-unfriendly states and agreeing to take legal action. 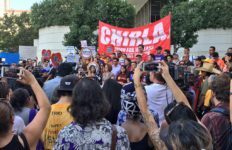 Solis pointed to earlier county bans related to Arizona’s stance on immigration and North Carolina’s law on transgender bathrooms as precedent for what she explained as a policy boycott. The nearly 800,000 young adults nationwide affected by the administration’s action — roughly one-quarter of them live in California — are contributing to America’s economy, not taking from it, said Sonja Diaz, founding director of UCLA’s Latino Policy & Politics Initiative. “Ninety-one percent of DACA recipients are employed. DACA is a net positive for the U.S. economy” and ending it would cost California alone $11.3 billion, Diaz told the board. Barger, the only Republican on the non-partisan board, said the county should take an aggressive, hand-on role in pressing Congressional representatives to craft new legislation. Barger quoted then-President Barack Obama’s 2012 remarks saying that his executive order to create DACA was “a temporary stopgap measure” to give Congress time to act. Ridley-Thomas proposed having county lawyers file “friend of the court” briefs in support of several states suing the Trump administration in opposition to the phase-out, saying it was time for local government to step up. At least 15 states, including California, and the District of Columbia have taken legal action against the plan announced by Attorney General Jeff Sessions last week to rescind DACA. The University of California, whose president, Janet Napolitano, signed the policy during her time as secretary of Homeland Security in the Obama administration, has also filed suit. 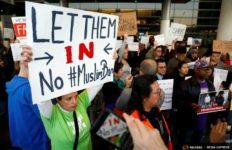 Trump has said he had no choice but to rescind the Obama-era executive order. The administration has set a phased rollback of DACA. Based on Solis’ motion, the board will also send a letter to the president and Congress demanding legislative action, a move that garnered unanimous support. And it will send a letter to state officials asking them to do whatever they can to protect DACA recipients, a move that only Barger opposed. The board also directed the county’s Office of Immigrant Affairs to help existing DACA recipients renew their status by Oct. 5.